Costs related to its bankruptcy caused American Airlines to post another unprofitable quarter. American Airlines' efforts to emerge from bankruptcy caused it to post another quarter of red ink Wednesday. AMR (AAMRQ), the airline's holding company, reported a net loss of $238 million. During the same period last year, it lost $162 million, which was the last full quarter before filing for bankruptcy in November 2011. But the company said it would have been profitable if not for various charges related to the bankruptcy, including $211 million in severance payments. The airline is offering some of its unionized employees, such as ground workers and flight attendants, voluntary buyout packages as part of the labor deals reached with those unions. American disclosed Wednesday that because 2,200 flight attendants took a $40,000 buyout offer, it will need to begin hiring 1,500 replacement flight attendants starting next month. The airline was able to win new labor deals with the Association of Professional Flight Attendants and the Transport Workers Union, which represents its ground workers. But it is still trying to reach a new labor deal with the Allied Pilots Union. When the bankruptcy court allowed the airline to dump the pilots' contract last month, pilots began calling in sick and filing maintenance reports on items that airline management says were trivial. Flight cancellations increased, and the airline's on-time performance fell to less than 50%. The airline said those operational problems did not cause a material hit to third-quarter earnings, even though the number of passengers fell by 4% in September. Management and the pilots are back at the negotiating table to reach a new agreement. American's on-time performance improved to 65%in October, according to tracking service FlightStats, but the airline still trails the industry average of 79%. 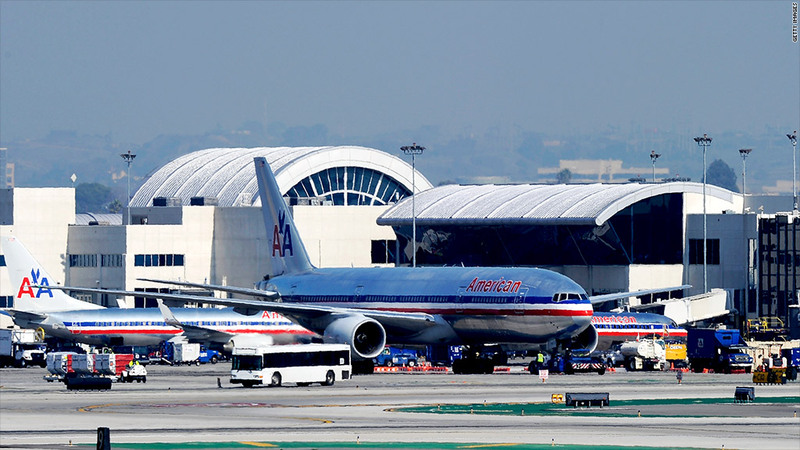 American unions are all on record backing a merger with US Airways Group (LCC). Each has reached a tentative labor deal with US Airways that would cover them should there be a deal. US Airways could use this fact to argue to American's creditors that a merger is the best course for making its labor happy and returning its operations to full capacity. American management has said it prefers to emerge from bankruptcy as an independent airline, but it has entered into a nondisclosure agreement with US Airways as it explores a possible deal. Tuesday it asked the bankruptcy court for an extension until March 28 to present a reorganization plan to the court. It said one of the reasons it needs more time is to consider "strategic alternatives," which frequently refers to mergers.